When it comes to powering RVs, boats, golf cars and electric vehicles, or providing storage for solar power systems, RELiON’s lithium iron phosphate batteries offer several advantages over lead-acid batteries. They have longer life. They are lighter weight, and yet have a higher capacity. They require no maintenance and can be mounted in any direction. They also charge faster, and don’t require a full charge before they can be stored or used. Lithium iron phosphate batteries can be safely discharged over a wide range of temperatures, typically from –20°C to 60°C, which makes them practical for use in all-weather conditions faced by many potentially cold temperature applications including RVs and off-grid solar. In fact, lithium-ion batteries have much better performance at colder temperatures than lead-acid batteries. At 0°C, for example, a lead-acid battery’s capacity is reduced by up to 50%, while a lithium iron phosphate battery suffers only a 10% loss at the same temperature. When it comes to recharging lithium-ion batteries, however, there’s one hard and fast rule: to prevent irreversible damage to the battery, don’t charge them when the temperature falls below freezing (0°C or 32°F) without reducing the charge current. Unless your battery management system (BMS) communicates with your charger, and the charger has the ability to react to the data provided, this can be difficult to do. What’s the reason behind this important rule? When charging at above-freezing temperatures, the lithium ions inside the battery are soaked up as in a sponge by the porous graphite that makes up the anode, the negative terminal of the battery. 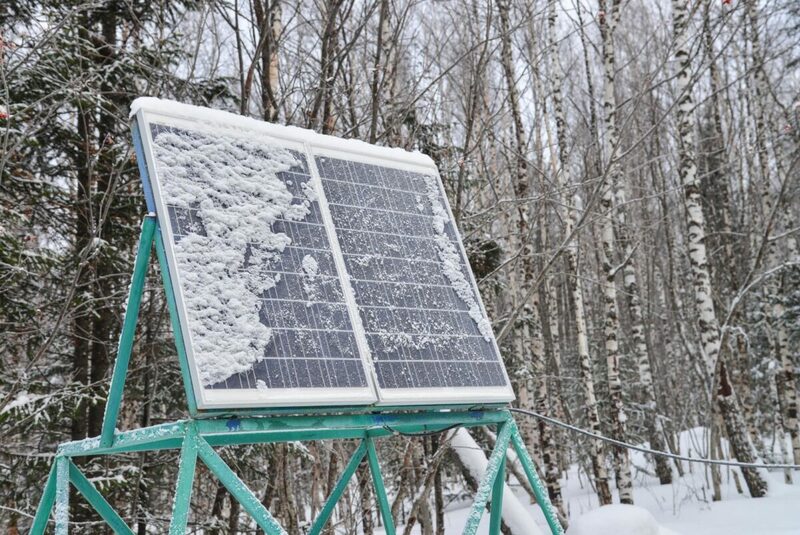 Below freezing, however, the lithium ions aren’t efficiently captured by the anode. Instead, many lithium ions coat the surface of the anode, a process called lithium plating, which means there’s less lithium available to cause the flow of electricity and the battery’s capacity drops. Charging below 0°C at an inappropriate charge rate, also causes the battery to become less mechanically stable and more prone to sudden failure. The damage to the battery when charging at colder temperatures is proportional to the charging rate. Charging at a much slower rate can reduce the damage, but this is rarely a practical solution. In most cases, if a lithium-ion battery is charged below freezing even once, it will be permanently damaged and must be safely discarded or recycled. In below-freezing conditions, without a BMS communicating to a charger that is programmed to reduce current when necessary, the only solution has been to heat the batteries to above freezing before charging, either by bringing them into a warmer environment or by wrapping them in a thermal blanket or placing a small heater near the batteries, ideally with a thermometer to monitor the temperature during charging. It’s not the most convenient process. 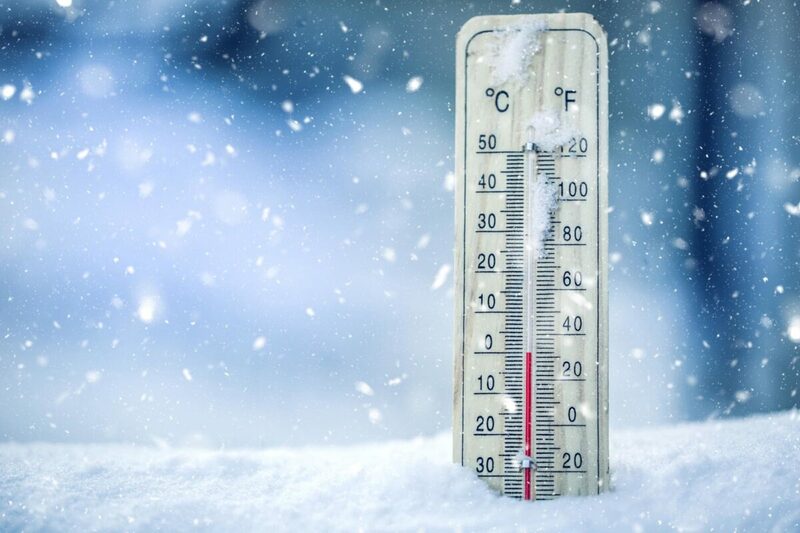 To solve the problem of charging and to make lithium-ion batteries safer and more practical for low-temperature use, RELiON has developed a new series of lithium iron phosphate batteries that can charge at temperatures down to -20°C (-4°F). The system features proprietary technology which draws power from the charger itself, requiring no additional components. The entire process of heating and charging is completely seamless for the user. Simply plug the battery in to the regular lithium-ion charger and the internal heating and monitoring system takes care of the rest. Because it takes time to heat the cells, the charging process in below freezing temperatures will take a little longer. For example, with the low-temperature RELiON RB100-LT 100Ah battery, it takes about an hour to warm from -20°C to +5°C before charging begins. Over a smaller temperature range, heating to a safe charging temperature happens proportionately faster. RELiON’s low-temperature series look and operate exactly like our other batteries, with the same power and performance. They have the same charge time at above-freezing temperatures. They also have the same dimensions, configuration, and connectivity of its standard counterparts, so they are drop in replacements in applications that already use RELiON batteries. And they’re ideal upgrades for those who are still using lead-acid batteries in low-temperature environments. With RELiON’s RB100-LT LiFePO4 battery, users who sometimes face below-freezing temperatures can now enjoy the many benefits of a lithium battery without having to worry about warming the battery before charging. The RB100-LT features the same size and performance as RELiON's RB100, but can safely charge when temperatures drop as low as -20°C using a standard charger. It's an ideal choice for use in RVs, off-grid solar, electric vehicles, and in any application where charging in colder temperatures is necessary. More models in the Low Temperature series will be available soon. Get the specs on the new RB100-LT Battery and order yours today! I am in process of working with Sportsmobile to design a new camper. I want to have a Lithium system of approximately 1000ah. Can 10 RB100-LT be connected together to form the 1000ah system I am looking to have Sportsmobile install? Carl - Unfortunately, the RB100-LT cannot be placed in “series” as of this time. It is a single module/battery solution. There are definitely ways to get to a 1000 Ah system. If you like, I could direct you to a salesperson to discuss your needs further. I live on a region where temperatures in the winter regularly drop below -10F. If I leave the RV unattended (winterized) must I bring the batteries into a heated space, or can they over winter in the cold RV? Edward – Yes, we would like to see the batteries live within 23F-95F if in long term storage postures. Also, if you don’t use the batteries over the “Winter” period, best practice suggests you charge the batteries every month or so if you can. If no charging is possible, store them at 50% SOC (state of charge).
" Unfortunately, the RB100-LT cannot be placed in “series” as of this time", is there any ETA on when it would be possible to use RB100-LT in series? I really hate to point out the obvious to a battery "manufacturer", but connecting a battery in series will not increase the capacity (current rating, AH, whatever you want to call it) of the battery bank. Connecting in series will increase the voltage, deliverable current, or both (situational). Connecting them in parallel however will increase the capacity of the battery bank, but not the voltage. Whether or not this will work with these batteries I cannot address because I am not familiar with their chargers, however I don't suspect the person answering the questions above is an expert either or they would have known the simple difference between series and parallel wiring. When this article was posted five months ago, it stated that "more models in the Low Temperature series will be available soon." When will more models actually be available? @ Nate. Think about what you wrote, adding another battery won't increase capacity??? Guess you don't understand Kwh. Connecting batteries in series will double the voltage and the Ah will remain the same however the capacity will double . The Kwh will double that is why it makes more sense to express the capacity of batteries in Kwh instead of Ah. @Derek Nate is right. Carl asked if he could create a 1000Ah system using 10 100Ah batteries. This implies connecting the batteries in parallel. I don’t see why that shouldn’t be possible to be honest. I do agree with you that battery capacity should be expressed using Wh in stead of Ah and voltage.